Marshall had surgery to remove a brain tumor. 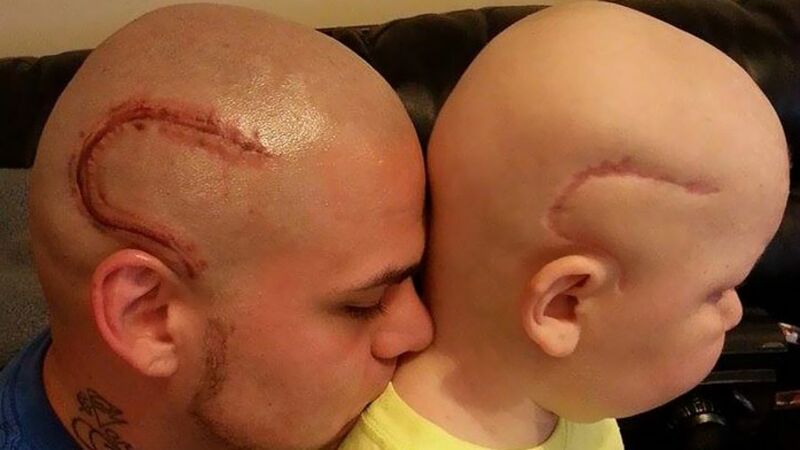 His father, Josh, wanted to show solidarity with his son, so he got a tattoo of the scar on his head. two have grown used to supporting each other through Gabe’s fight against cancer. They describe the process as being like a rollercoaster.